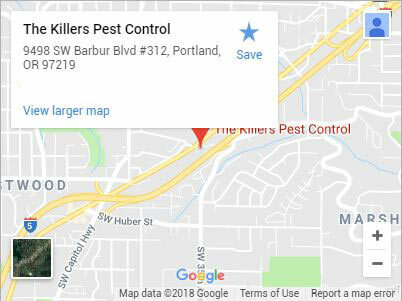 For a reliable exterminator in Canby, contact The Killers. With more than 30 years in the industry, we’ve made it our mission to provide Canby residents with total pest extermination. Our eagle-eyed exterminators don’t let anything escape their detection. Whether you’re facing a property-wide infestation or a contained incident our exterminators can give you your property back. Your house should provide you with all the comforts you expect, but this can be difficult to accomplish when pests are posing a problem. You shouldn’t have to be concerned about the safety of your family, so call us as soon as possible if you suspect a problem. Different animals present themselves in different ways. Bed bugs often leave behind bites and welts, cockroaches cause allergies, and rodents scurry in the walls. 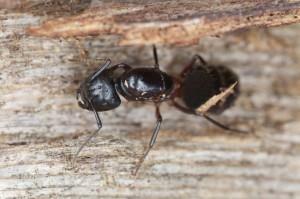 One of our exterminators can arrive at your house for an inspection as soon as scheduled. 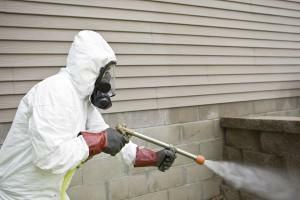 A thorough inspection will allow our exterminator to identify the threat and the extent of your infestation. It’s always better to perform pest extermination in Canby as soon as possible. Early detection provides more opportunities for effective extermination methods which can mean a reduction in pest-related damages to property and occupants. You should always seek out the best when it comes to extermination. We’ve become one of Canby’s most trusted extermination service providers. With extensive up-to-date knowledge regarding pest extermination best practices and treatment methods, we’re confident we can provide you with complete pest extermination. Our exterminators know the signs and symptoms of every pest in Canby, we can diagnose your problem, even if it involves multi-pest infestations. Our exterminator veterans have spent extensive time in the field, and know that the customer comes first. We’re always happy to answer any questions you may have. From pests habitats to treatment methods and options, we want you to be as confident as we are in your pest extermination service. Call (503) 981-2270 or contact us today for the exterminator that Canby trusts! Canby may be a small city in Oregon, but it’s anything but boring. The Canby Ferry has been in business for over 100 years, ferrying citizens back and forth across the Willamette River. With easy access to a wonderful public library and excellent school system, Canby is a great place to raise a family. Those looking for a big dose of excitement shouldn’t miss out on the Clackamas County Fair & Rodeo that takes place in Canby every year. With a number of exciting rides, events, and food, the event center hosts a Rodeo sponsored by the Professional Rodeo Cowboys Association. Albany, Beaverton, Clackamas, Corvallis, Gresham, Lake Oswego, Lincoln City, McMinnville, Milwaukie, Newberg, Newport, Oregon City, Portland, Salem, Sherwood, Tualatin, Vancouver WA, West Linn, Wilsonville, Woodburn and more!